The Los Angeles Rams returned to their lockers in the Motor City, where NFC West championship shirts and hats were waiting to be worn. "I'm extremely tired of losing," centre Graham Glasgow said. Detroit's defence held Los Angeles' high-powered offence in check for three quarters, giving the slumping team a shot to potentially pull off a stunning upset. The Lions, though, failed to make the most of the opportunity because their offence struggled to move the ball and score. Goff, perhaps rusty coming off a bye week, was off the mark on many passes and lost a fumble to help keep the game close. His lacklustre performance led to Los Angeles settling for Greg Zuerlein kicking three field goals. 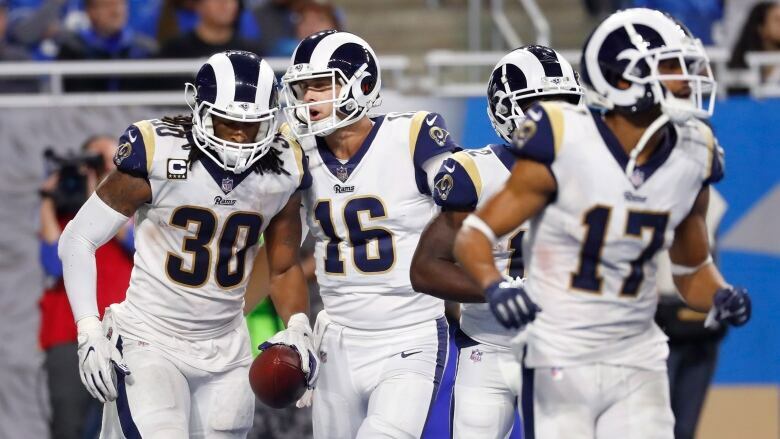 Goff was 17 of 33 for 207 yards with a tiebreaking, eight-yard touchdown pass to Robert Woods late in the second quarter. Goff also threw an interception on an overthrown pass in the second quarter and lost a fumble in the third quarter.